-Our all glass entrances create an open space in your building. With no obstructed views you have full vision in offices, restaurants, lobbies, etc. -The streamed lined aluminum and glazing from the doors flows nicely into any adjoining glass walls or counters. 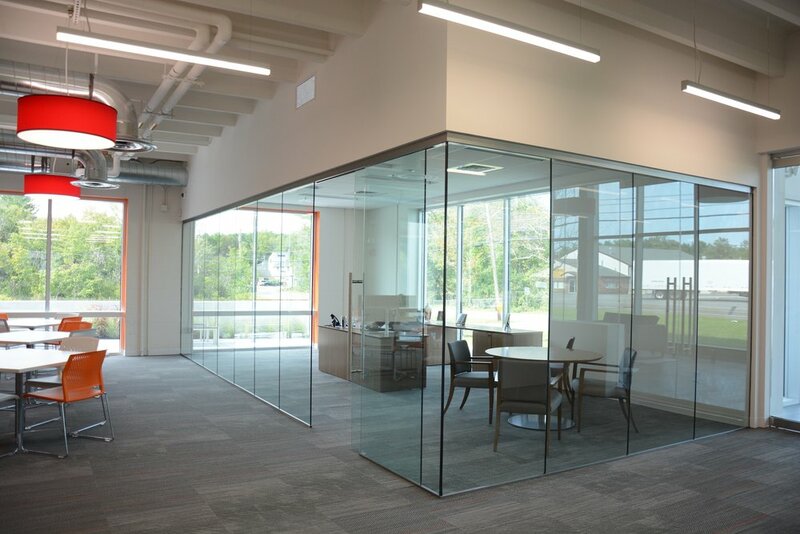 -You have the option to add film or different types of glass to create a more private space in specific places around your building. -Any size and type of handles can be added to your doors. -Hardware for security can be tailored to your needs. -Pivots on top and bottom can open 90, 180 degrees or be sliders depending on space and what you desire.